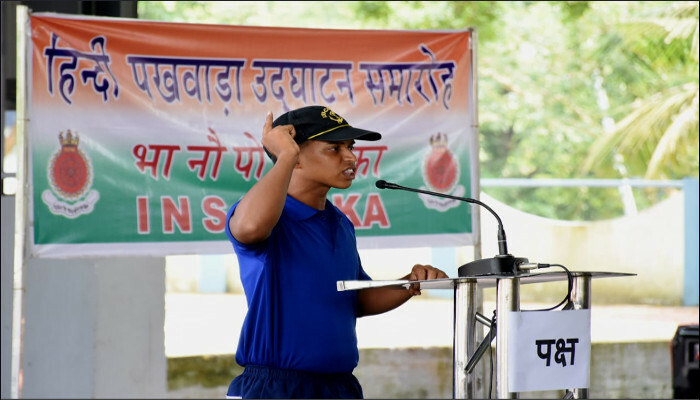 A Hindi Debate Competition was conducted on the eve of Hindi Pakhwada Celebration on 15 September 2018 at INS Chilka. 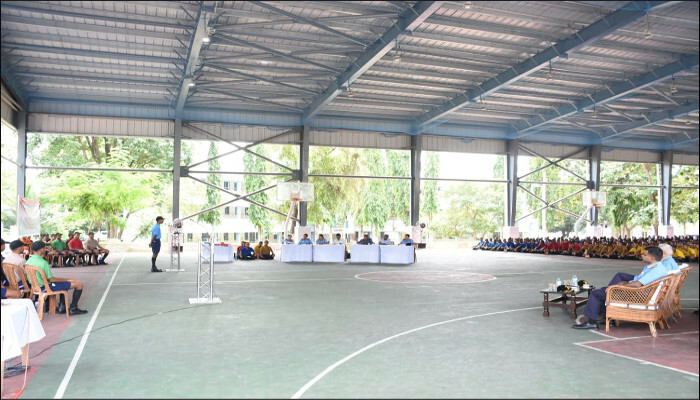 The competition was aimed to enhance debating, cognitive and presentation skills and to inculcate self confidence among the trainees. 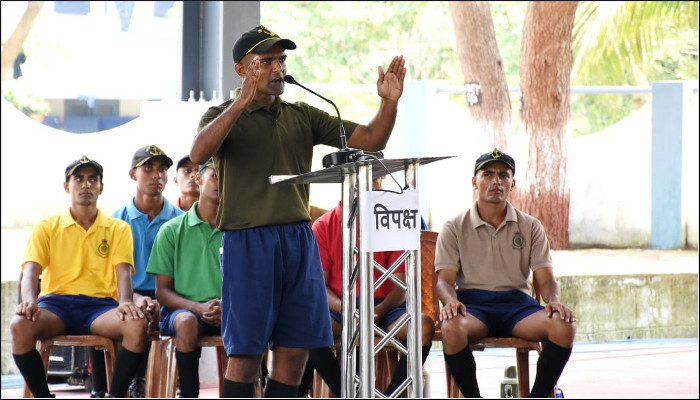 Two trainees each from the 10 divisions expressed their views in favour or against various topics. 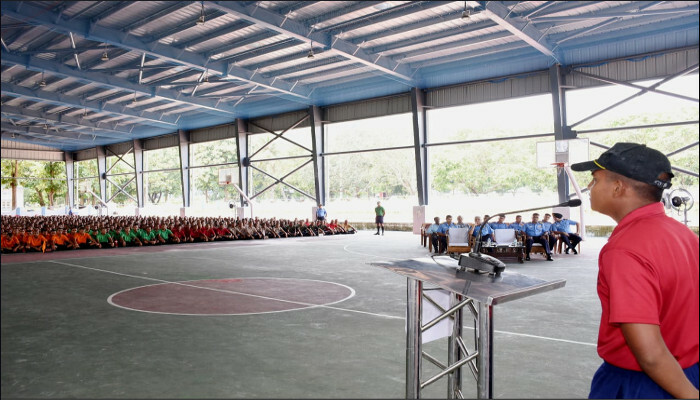 It was an enriching and learning experience for the trainee debaters and the audience to listen the arguments put forward by all the participants. 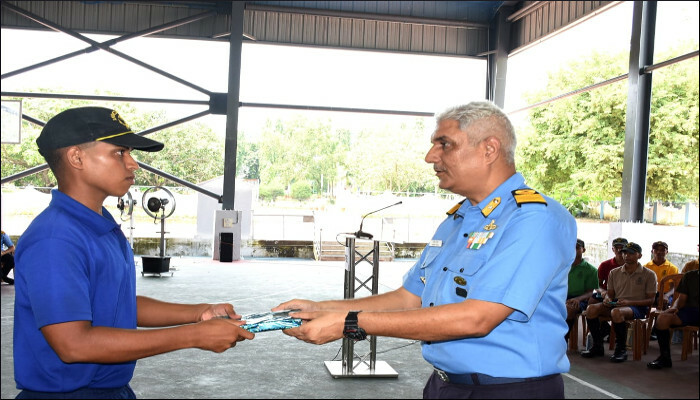 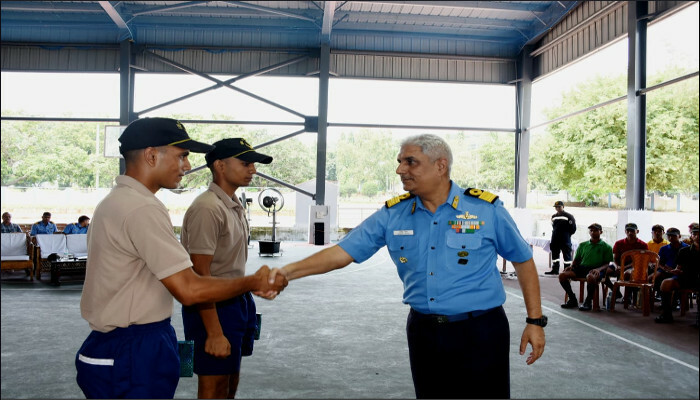 Commanding Officer, INS Chilka presented awards to the winners.